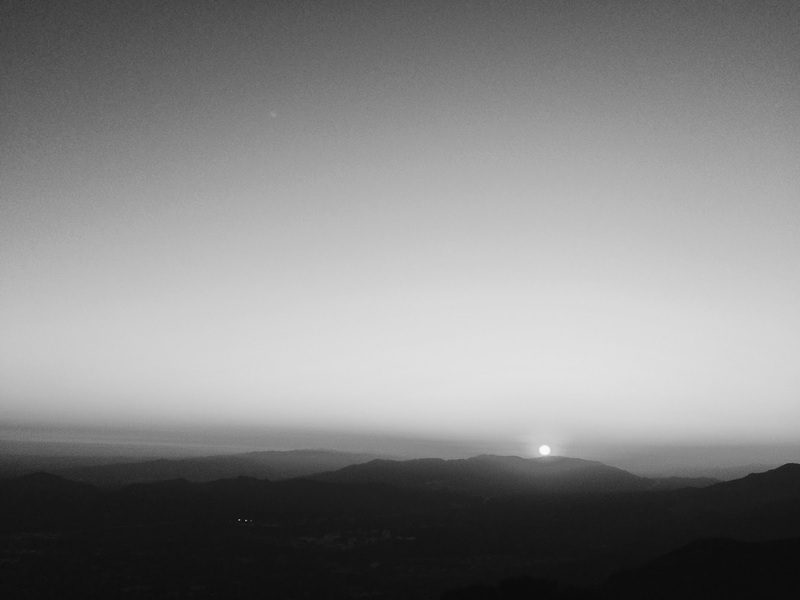 It's hard to keep track of time and good sense when catching a sunset from the peak of a mountain. I chose to not miss this view than to not miss a step on the hike back down. Nightfall moves along the longest grayscale with a million shades- it's hard to realize how dark it is as your eyes adjust effortlessly to minuscule fractions of change. Halfway down the mountain, on a wide ledge with my right hand skimming the mountainside still warm from absorbing the afternoon sun's rays, I turned my eyes left to look down into the valley, and I stopped moving for a moment. It was the deepest darkness I have ever seen- the color of nothing and everything, the color of the coldest sea and night beyond night. It was a bottomless bowl of an infinite sky void of stars, that if I were to jump in, I would never stop falling. Before fascination could turn into fear, I continued down the trail, closely along the warm wall of the mountainside.